It’s been a week of setbacks for all things poker in the region under China’s general influence. 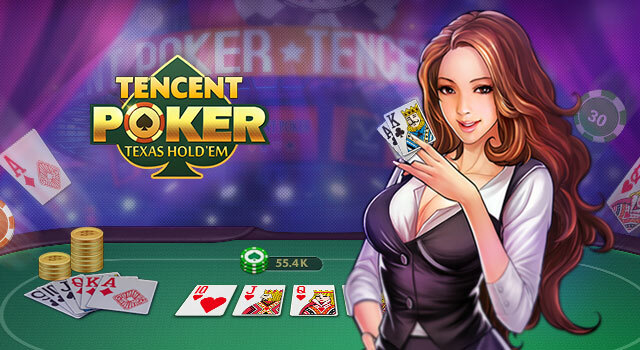 First, Tencent has announced the formal discontinuation of all of its Texas Hold’em poker apps, a move in compliance with a Chinese government ban of the company’s titles that will see that division of Tencent’s business largely wrapped up as of September 25th. Then, in a move that’s separate from Tencent’s difficulties yet still related to the poker-targeted clampdown by China, officials of the Asian Poker Tour (APT) have announced the second straight cancellation of an event in Macau, in this case transferring it to a venue in the Philippines. Tencent’s decision to pull the plug on its poker-app business comes in the wake of a ban by Chinese regulators of another of its poker offerings, “Everyday Texas Hold’em”, for largely the same reasons that many of the company’s other poker apps ran afoul of the Chinese authorities in May. As before, the Everyday Texas Hold’em app is nominally a free-to-play game — coin packages can be purchased — but the entire game can serve as proxy for offline, underground-gambling exchanges of real funds. Also, in a repeat of the earlier situation, recruitment into the underground gambling rings utilizing the poker app has been conducted via the popular WeChat service, which is also a Tencent product. In this case, two plus two equals zero, as Tencent seems unable to find a way to produce and market a poker app that can generate revenue (via the sale of those coin packages), without also enabling the activities of the underground poker rings. Tencent’s shares have dropped another 2% in the wake of this latest crackdown, though to be honest about it, the company’s stock has already largely adjusted for the company’s poker difficulties. 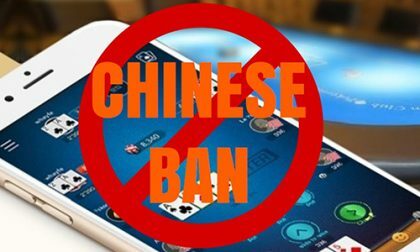 Back in April and May, when China’s ban on poker apps was first announced, the company’s shares took a quick 10% hit. Yet that’s not the total picture. Tencent has also had some other titles run afoul of regulators, for a variety of reasons, and the company’s shares are down more than 25% in total since April. There’s also the continuing impact that Tencent’s separation from the poker-app business will have on the World Poker Tour, which Tencent also owns. Tencent acquired the WPT with an eye to using it as a means to expand the game — and its own business interests — in China and elsewhere in Asia — but those plans have been dampened as well. Tencent must now re-categorize the whole WPT deal as more of a long-term, slow-growth acquisition, rather than the quick two-pronged strike into an opened Chinese poker market it might have once envisioned. It’s just not going to happen that way. Then there’s the situation with the Asian Poker Tour in Macau, and another event cancellation. Macau derives most of its gambling-mecca business from mainland Chinese gamblers, and though it casino exec claimed the poker clampdown would have little effect on Macau’s poker scene, it was soon clear that that wasn’t true. The APT may be the longest-running tour with China and Macau connections, being founded back in 2008, but right now it’s a no-go as well. Recently, Jeff Mann, Chief Executive Officer of the Asian Poker Tour announced that the tour would move the APT Finale 2018. It was originally scheduled for Macau from November 27 to 8 December but will now be staged in Manila during the same dates.